Fundraising Tuesday: Lies, Damn Lies, and Great Stories - Communicate! You’ve probably seen them. Maybe you’ve even written them. Did you write one at the end of 2018? We’re talking about the fundraising appeal letters that are based on statistics. These numbers matter to us…but not to our donors. They may not even read them. They will not remember them. The problem isn’t that the numbers can be fudged, either. 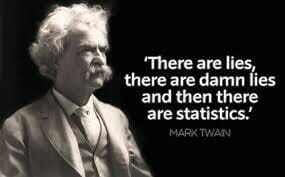 The real problem is that statistics don’t touch the heart. Donors decide to give because you engage their emotions. They feel the pain of a child going hungry, the pride of a community sending its brightest high school students to college. Without an appeal to the heart, they will not even pay attention. Once you move their hearts, you will get a chance to make them nod their heads, too. But not until then. As a species, we crave stories. Like water, like food, like the air we breathe, stories are vital to us. We listen to stories to make sense of the world around us. We shape the events of our own lives into narratives to give our lives meaning. Stories stick in the memory. Have you ever tried to memorize a grocery list? After a certain length, it becomes impossible. You can try singing the list to a well-known tune, or counting it on your fingers, or alphabetizing it, and still you’re likely to come home and realize you’ve left several items sitting on the supermarket shelves. But if you give it even a little bit of narrative structure–“We’re having pasta tonight, so I need tomato sauce and salad fixings”–it becomes so much easier. Telling stories to your donors makes the work you’re asking them to support tangible, meaningful, and memorable. If you touch the donor’s heart, you can even make it compelling. The donor will want to give! What if you’re used to writing fundraising letters that are full of statistics? You can learn how to take what you have written in the past and turn it into storytelling your donors will love. Let’s take one of the sentences full of numbers I mentioned above and transform it. Telling the story of one person moves the heart more than citing large numbers. Research has proved this again and again. So, forget those 500 people. Talk about one person, and perhaps her family. Who is this person who ate your meals? What can you tell your donors that will help them get to know her? What changed so that your one person and her family need help? What would life be like for them without that food your donor is providing? How has getting the food for free changed Maria’s life, and her husband and children’s lives? What difference does a donation make, in tangible terms? You can turn any statistic into a story if you are prepared. Make sure you give yourself enough time to collect stories and bank them so you can use whenever you need them. And remember to make the donor the hero of the story. When you tell donors a tale of what happens “because of you,” you will touch the heart and move donors to give.